Slightly surprising discovery of the week: Thierry Mugler’s Angel Body Cream. I’m actually surprised that I like Angel full-stop, because it’s nothing like the fragrances that I normally wear, but I’m even more taken aback by my love for this hulking great pot of body cream. It is HUGE! The box looks as though a small family car is going to be parked in it, and then you open the lid and there’s a spaceship inside! A flying saucer! The cream itself isn’t your usual ‘fragrance beauty range’ body lotion – it’s thick and luxurious and it doesn’t dry out my skin. Granted, it’s perfumed, (obviously) and perfumed products don’t suit some skins, but I get on very well with this one. It feels as though it has been nicely formulated, which is likely, because it’s made by Clarins and Clarins, in my opinion, make splendid body products! 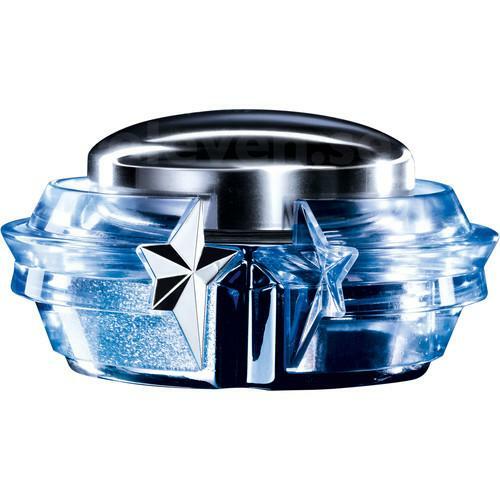 Thierry Mugler Angel Body Cream is £40.95 from John Lewis. I know – pricey, right? But I reckon that the raw materials used to make the packaging cost about £200, and it was about £50 to post it from Mars, so….